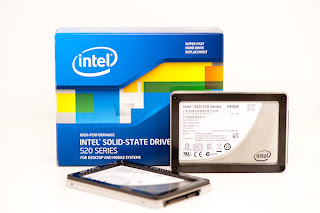 Intel was rumored to be working on a SandForce based drive for several months now, but even the rumors couldn't encapsulate just how long Intel and SF has worked on this drive. According to Intel, the relationship began 1.5 years ago. Still lacking a 6Gbps controller of their own and wanting to remain competitive with the rest of the market, Intel approached SandForce about building a drive based on the (at the time) unreleased SF-2281 controller. Roughly six months later, initial testing and validation began on the drive. That's right, around the time that OCZ was previewing the first Vertex 3 Pro, Intel was just beginning its extensive validation process. SandForce's drives better for everyone, but for now the Cherryville firmware remains exclusive. Intel wouldn't go on record with details of its arrangement with SandForce, but from what I've managed to piece together the Intel Cherryville firmware is exclusive for a limited period of time. Icy Dock: MB974SP-B SATA 3 version released now! !